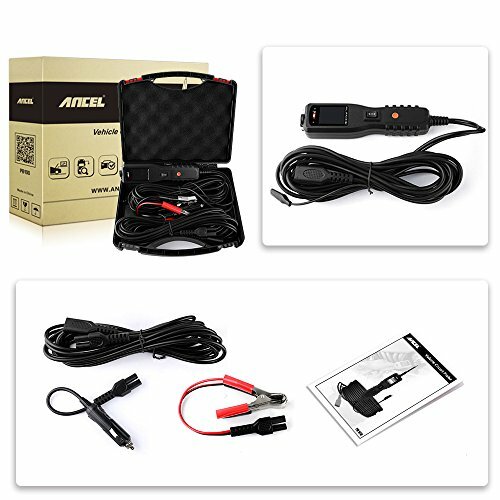 12V-24V Probe Tester with Wide Compatibility: ANCEL PB100 circuit tester is a fast and efficient electrical scanning probe, works for all 12V and 24V electrical system, like cars, boats, trailers, fuel pumps, relays and many other Vehicles. 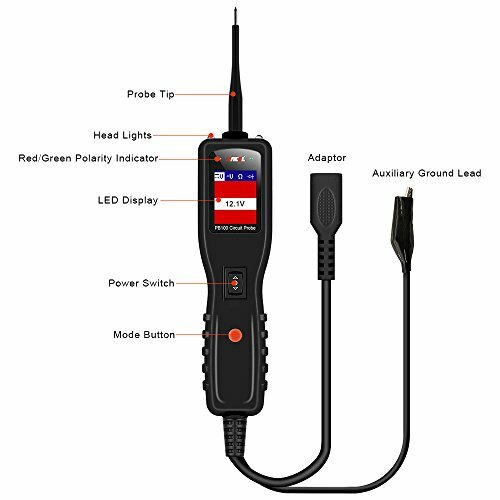 Electrical Probe Tester with Multi-Function: Designed to do Voltage & Polarity Testing, Continuity Testing, Signal Circuit Testing , Activating Components in your hand and in the vehicle, Testing Trailer Lights and Connections, Activating Components W/Ground, Red/Green Polarity LED, Following & Locating Short Circuits and Checking for Bad Ground Contacts. 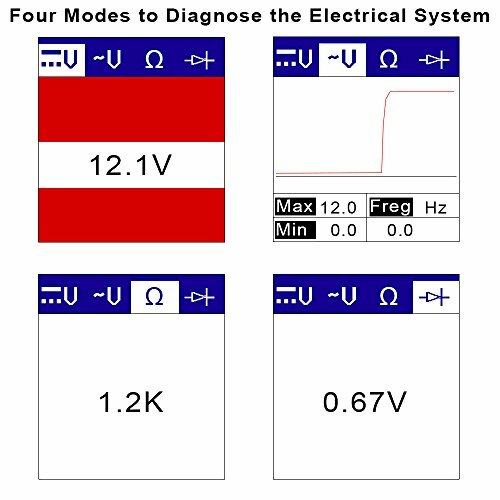 4 Work modes and Quick Self-test: The TFT color back lit display allows the user to read DC Voltage, AC voltage, Resistance and Diode parameters very clear. 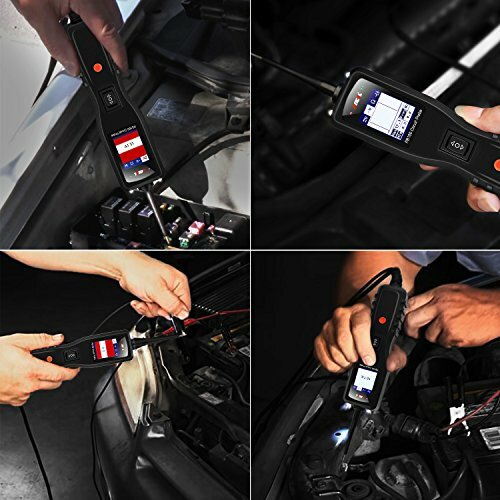 A quick self-test is a must before testing a circuit or component just to make sure your tool is in good order. 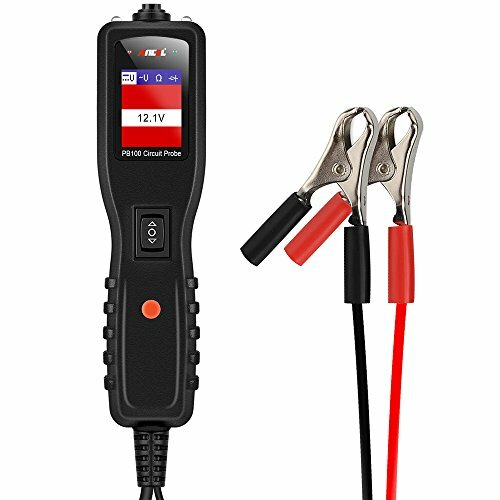 Automotive Tester with Durable and Safety: Auto circuit breaker makes this tool very safety and durable, it is short-circuit protected as well as a safety measure to protect the tool from overload. 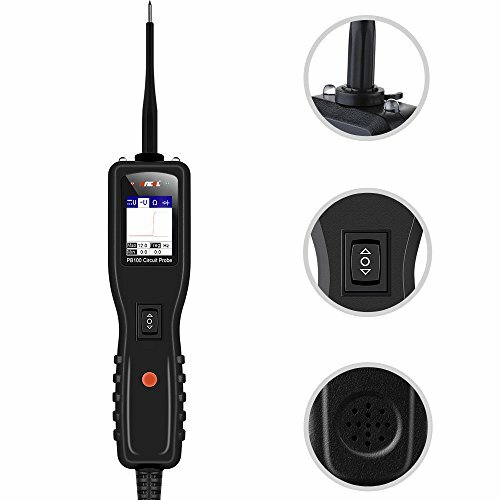 This unit housed in rugged and with very friendly user interface, Even a beginner can easily use it without the manual. 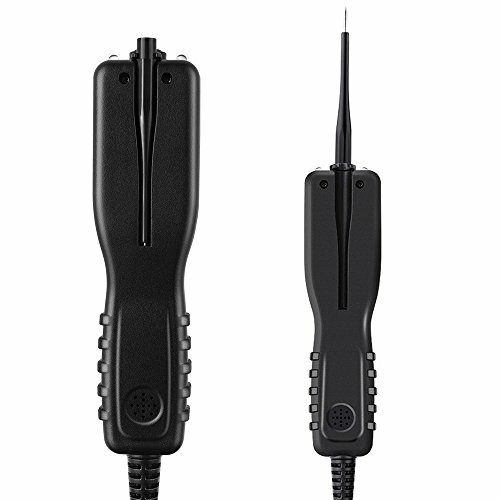 Built in two head lights allows you to work in the dark area, Flexible 20ft long allows reaching wires in or out of the vehicle or some congested places. One-Year Limited Warranty.